Last year 30 million passengers road Amtrak, which on September 10 announced monthly ridership records for the last 11 months. That should come as no surprise with gasoline above $4 a gallon in much of the country. But Amtrak bosses, doubtless looking for more federal handouts, left out a few realities. Last year Amtrak lost more than $450 million and the federal government pitched in $562 million just to keep the operations side rolling. Tack on $650 million for capital costs in 2011 and you have the better part of Amtrak’s $1.5 billion subsidy, about $50 per ticket. The massive federal subsidies continue regardless of ridership levels and other developments. Despite its monopoly, Amtrak lost nearly $1 billion – $834 million, more than $80 million a year – on food and drink services since 2002, much of it due to fraud and theft. Despite federal dollars Amtrak is cutting key services in some areas and late arrivals continue to be a problem. Even seven-figure subsidies can’t make trains arrive on time. Amtrak has become a campaign issue with Vice President Joe Biden who describes himself as “the biggest railroad guy you’ve ever known,” stumping for the subsidized system that recently renamed a station after him. Republicans claim they want to end Amtrak subsidies and privatize the system. In June, however, the GOP-controlled House increased Amtrak’s overall funding by $384 million to offset reductions in operating subsidies. That doesn’t sound like privatization. 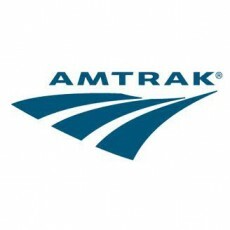 One pro-Amtrak editorial conceded that “Even with a major infusion of federal funding Amtrak would be years away from matching European passenger rail systems, which include bullet trains that can run at top speeds in excess of 200 mph.” Speed and ridership aside, Amtrak remains years away from breaking even and that is unlikely to change. California, meanwhile, wants to build a bullet train and in near-bankruptcy looks to federal funds. A major champion of the project is governor Jerry Brown, a former presidential candidate who in his first stint as governor during the 1970s pushed for California to have its own space program.